Situated in the north-western corner of Co. Clare the Burren has a lot to offer the visiting climber - easily accessible, quick drying west facing limestone cliffs are in plentiful supply. 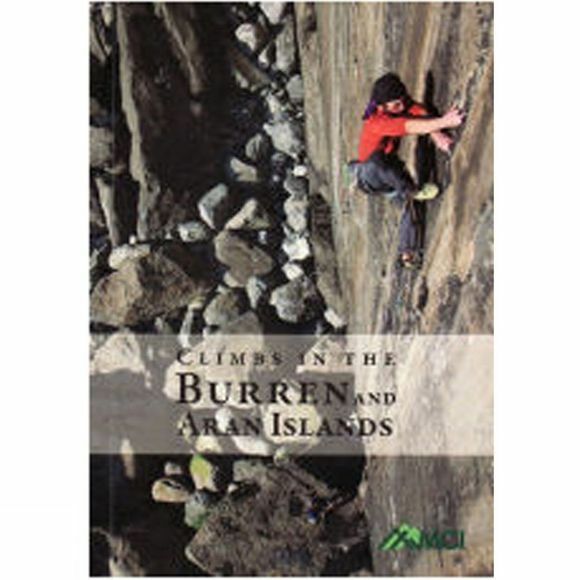 This climbing guide covers not only the Burren but the impressive sea cliffs at Doolin, which have also become a popular bouldering venue - The Aran Islands are also described in some detail. Seven inland crags have been developed and appear in the guide for the first time, these offer a different climbing experience to their better known coastal neighbours.